May2nd – May 4th 2014. Cyril Gray Memorial Hall, Dugort. 7.30pm Official Opening Guest Speaker; Derek Scally. Presentation of Essay Competition prizes. 8.30pm Talk by Dea Birkett. Derek Scally was born in 1977 in Dublin, raised in Raheny on the city’s north side. He took a BA in Journalism at Dublin City University and did his Erasmus semester in Berlin’s Humboldt University. After working in Dublin and New York, he moved to Berlin in 2000 where he began working for various media outlets, including Deutsche Welle – the German foreign news service – and Die Welt daily. In the summer of 2000 he began freelancing for the Irish Times and took over as the newspaper’s Berlin correspondent in December of that year. Since then he has been the newspaper’s man in Berlin, reporting mainly on politics and current affairs but also on business, arts and European affairs. From his base in Berlin he writes regularly on Poland, Austria and Switzerland. A lady an explorer? A traveller in skirts? The notion’s just a trifle too seraphic; Let them stay and mind the babies, or hem our ragged shirts; But they mustn’t, can’t, and shan’t be geographic. This ditty in Punch magazine 1893 summed up the attitude towards women who dared to ditch the kitchen sink and strike out for the unknown. from home. Dea Birkett looks at the history of women travellers, asking not only where they went and not what they did, but why. From the first female pilgrim to 19 century spinsters tramping in their long petticoats through the jungle, to Honor Tracy on Achill, through to Dea’s own travels, we will discover how travelling liberated them to a life unimaginable at home. Dea Birkett is an award-winning writer and journalist, author of seven books including Serpent in Paradise (about her time on Pitcairn Island in the South Pacific), Spinsters Abroad (‘subtle, acute, fascinating’ Sunday Times), Jella. A Woman At Sea (winner of the Somerset Maugham Award) and Off the Beaten Track. Three Centuries of Women Travellers (with the National Portrait Gallery). She contributes and is a columnist for the Guardian, Mail on Sunday and a wide range of publications, as well as a regular commentator for the BBC. Dea was Royal Literary Fund Fellow at the University of Brighton. She is a Fellow of the Royal Society of Literature. She is also Creative Director of Many Rivers Films (www.manyriversfilms.co.uk), an Emmy-nominated film company, making challenging dramas, documentaries and plays. She has a keen interest in museums, as co-Director of TextWorkshop (www.textworkshop.co.uk) and director of charity Kids in Museums (www.kidsinmuseums.org.uk) Dea received a Winston Churchill Travelling Fellowship to run away and join the circus. In 2011, she was on the Independent’s One Hundred Happy List. She lives in London and Achill. Alt village – to house of Honor Tracy. Eoin Halpin is a professional archaeologist with some 30 years of experience, gained in both Ireland and abroad. In 1989 he co-founded Archaeological Development Services Ltd, one of the first archaeological companies established in Ireland. The company currently has offices in Dublin, Belfast and Kells. Eoin is a full member and ex- chairman of the Institute of Archaeologists of Ireland and a full member of the Institute for Field Archaeologists, the professional representative body in the UK. 2.00pm – 5.00pm pm Böll cottage open to public. Writing seminar with Mary Russell Cyril Gray Hall. Talk by Gisela Holfter U. L .
While Heinrich Böll’s Irisches Tagebuch (Irish Journal) is certainly the best known German travel book on Ireland there are many more fascinating accounts of Ireland from a German perspective. In this paper three particular phases of writing about Ireland will be introduced with their very different approaches. First, two unjustifiably forgotten publications from the time before World War I by formerly well-known authors Annette Kolb and Richard Bermann (who also published under the pseudonym Arnold Höllriegl) who wrote two of the most memorable accounts, though very different from one another. Secondly, we will look at writers who like Böll focused on Ireland in the 1950s – in which way was he unique, in what aspects can we detect strong similarities to other authors who wrote at the same time? And lastly, a quick overview and assessment of travel literature from the end of the twentieth century will allow an impression of recent developments and trends. German writers throughout the twentieth century have used very different methods to express their impressions, ranging from journalistic, satirical, hyperbolic, sentimental, poetic to factual. For all of them Ireland attained a special role and an important point of reference. Dr Gisela Holfter is Senior Lecturer in German and co-founder and Joint Director of the Centre for Irish- German Studies at the University of Limerick. She studied in Cologne, Cambridge and St. Louis, and worked as an Assistant Teacher in Belfast and as a Lektor at the University of Otago in Dunedin, New Zealand, before coming to Limerick. Her PhD on German travel literature about Ireland in the 20 (Erlebnis Irland, 1996) deepened her interest in Heinrich Böll’s relationship with Ireland which eventually led to her acclaimed monograph Heinrich Böll and Ireland (2011, paperback 2012). She is Course Director of the recently established one year MA in Irish-German Studies at the University of Limerick that has drawn students from Germany, Ireland, Poland and Bulgaria. One of her main research areas is Ireland as a destination for German-speaking refugees 1933-1945. She has been collecting articles by and writing about John Hennig, a founding father of Irish-German Studies, with Hermann Rasche (Exil in Irland – John Hennigs Schriften, 2002; John Hennig’s Exile in Ireland, 2004), has written about Ernst Lewy, the first Professor for Finno-Ugric Studies in Berlin and a teacher of Walter Benjamin, and about Trinity College lecturer Dr Ernst Scheyer. With Jürgen Herres she edited the Marx-Engels Jahrbuch 2012 on Friedrich Engels’ relationship with Ireland. A monograph A Refuge on the Isle of Exile? Hitler émigrés in Ireland 1933-45, jointly written with Horst Dickel, is due to be published in 2015. She is currently working on articles about Annemarie Böll and Prof Ludwig Hopf, a former assistant of Albert Einstein, who died in exile in Ireland in 1939. 4.00pm Talk by Rene Böll. “Heinrich Böll and his family’s fight for humanity”. Heinrich Böll and his family were independent in their thinking; they didn’t belong to the right or the left. Because of this, Heinrich Böll could speak about liberty for persecuted people, in Russia and in Chile at the same time. Therefore, Heinrich Böll and his family came to the notice to the GDR establishment, the Stasi and the West German authorities, politicians, press (newspaper, television etc), and the police and the secret service. 4.45 pm Hugo Hamilton Reading from is new novel ‘Every Single Minute’. Hugo Hamilton is the author of nine novels, two memoirs and a collection of short stories. His work has won a number of international awards, including the 1992 Rooney Prize for Irish Literature, the 2003 french Prix Femina Etranger, the 2004 Italian Premio Giuseppe Berto and a DAAD scholarship in Berlin. ‘Every Single Minute’ is a novel inspired by the force of honesty – a moving portrait of an Irish writer dying of cancer. Visiting Berlin for the first and last time, she is remembered, in prose of arresting directness, by the book’s narrator. performance of the opera ‘Don Carlo’, she realises the true cost of letting memory dictate the course of her life. From the author of ‘The Speckled People’ the uplifting and heartbreaking, ‘Every Single Minute’ is the story of a candid friendship, full of affection and humour, and of reconciliation, hard-won at long last. 6.00 p.m. Western Light Art Gallery, The Sandybanks, Keel, Achill. Achill from the Böll family collection. Alex McKenna born in North County Dublin has painted the Landscapes of Achill for four decades. McKenna’s paintings are based on his own experiences and his work reflect man’s relationship with nature. McKenna has a deep love of land, sea and wilderness, and in particular, the labour of men on land and at sea. His grandfather and great-grandfather were both boatsmen. His keen interest in maritime history comes from a long line of fishermen on one side and farmers on the other. McKenna’s works can be described as Impressionistic and he is influenced by the French Impressionists Camille Pissarro. McKenna is inspired by the Irish artist Paul Henry and his views of the West of Ireland, which he vividly recalls seeing in the G.N.R posters which adorned Irish railway stations during the 1950’s. The gentle brush strokes and lively composition demonstrated by Irish artist Maurice MacGonigal has also been assimilated into McKenna’s works. He loves the West and especially Achill Island with which he has had a long association. His impressionistic brush strokes and golden tones, contrast dramatically with the reds and blues that also dominate his palette. His use of figures are often as important as the landscape and he gives each figure an individual personality through a certain stance or gesture. He has exhibited at the RHA and Oireachtas exhibitions, major group shows and in 2008 and 2009 he has exhibited in group shows in America, the China World Trade Centre Beijing and in Australia. Dr. Gisela Holfter will open the exhibition. 8.30pm Readings at St. Thomas’s Church Dugort. Mary Russell Dubliner Mary Russell’s first solo journey was to Lesotho in southern Africa where she went to investigate the Connemara pony project whereby the champion of champions was donated to the kingdom of Lesotho by the Department of Foreign Affairs in order to boost the national stud there. It was her first experience of travelling on her own and she loved it so much she’d been doing it ever since. “Are you never lonely?” is a question she’s asked regularly but no, she says, she isn’t. During the day, she jots down words and phrases or draws squiggles which are meant is to evoke the memory of what she’s seen or heard. Sometimes, she’s unable to read her own writing which makes the exercise all the more challenging. A shoestring traveller, she’s bedded down in tents, on an evil-smelling half-decker in the Caribbean, on the stones of the Sahara, in a dormitory shared with 99 other pilgrims and, but don’t tell anyone, in a five-star hotel. And has she ever been afraid? Well, semi-feral packs of dogs in the Syrian desert got the heart racing, she says, but then so too does a bike ride through Dublin’s city centre. And speaking of bikes, one of her most pleasing rides was pedalling from Westport to Achill – before the lovely Greenway was developed. Her most recent book My Home is Your Home is an account of her travels on foot, by desert bus and by bike throughout Syria – before it was torn apart by war. In a short space of time, that book has become an historic record of a proud country once full of music, boundless hospitality, complex contradictions and the odd very lumpy bed. Birgit Vanderbeke, born in 1956 in Dahme, Brandenburg, lives in the South of France, is one of Germany’s most successful literary authors. She has written 17 novels. The Mussel Feast – Das Muschelessen- was her first publication and won the most prestigious German language literature award, The Ingeborg Bachmann Prize. The book was published in 1990 and has never been out of print since. It has been translated into all major European languages, including French, Spanish and Italian. Her work includes the novels Das lasst sich andern and Die Frau mit dem Hund. Her latest novel is The Summer of Wild Boar from PIPER in March 2014. Guided Walk with Eoin Halpin. Dooega Village. Includes; focus on Tommy Patten. 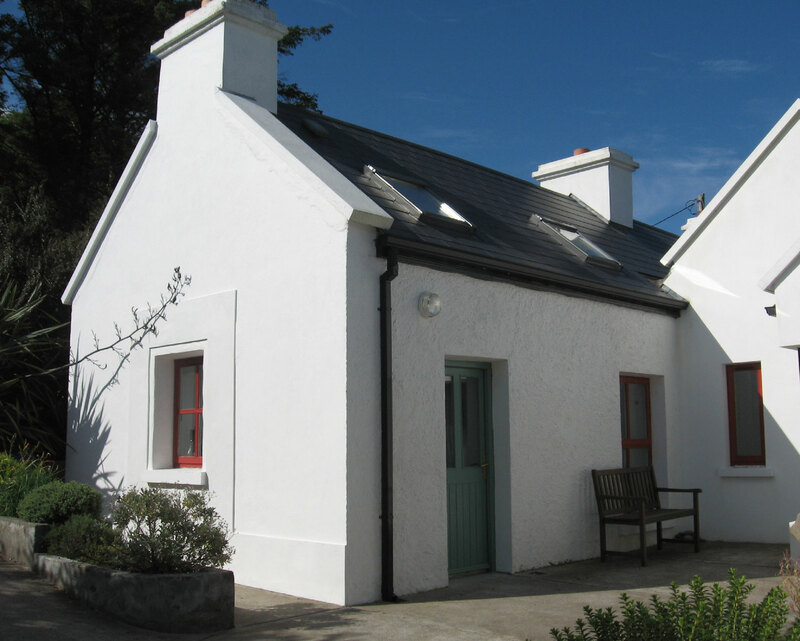 ‘The Achill missionary buildings at Mweelin – history, origins and people.’ Rev Patrick Comeford. Patrick Comerford is Lecturer in Anglicanism, Church History and Liturgy, the Church of Ireland Theological Institute, and an Adjunct Assistant Professor of Theology, Trinity College Dublin. He studied at TCD, Kimmage Manor, Maynooth and Cambridge, and received the Oulton Prize for Patristic Studies. He worked for 30 years as a journalist and is a former Foreign Desk Editor of The Irish Times. He is the author and co-author of many books, and has written on church history and theology for many journals, including papers on Edward Nangle, the Achill Mission, and the Church of Ireland in Co Mayo in 1798. His recent publications include two chapters in Treasures of Irish Christianity, Volume II, A People of the Word (ed. Professor Salvador Ryan and Bishop Brendan Leahy, Dublin: Veritas, 2013), and a paper on Bishop Josiah Hort in the Journal of the Wexford Historical Society. He is currently working on books on Edward Nangle and on the history of the Anglo-Catholic movement in Ireland. Patrick has been a regular visitor to Achill since 1980. At the Heinrich Böll Memorial Weekend last year, he spoke on ‘The History of the Church of Ireland, Inishbiggle,’ and ‘The poet as theologian, the theologian as poet … a theologian’s engagement with John F. Deane.’ He is a canon of Christ Church Cathedral, Dublin, a director of the Anglican mission agency Us (previously USPG), a regular contributor to television and radio, a columnist in magazines in Ireland, England and the US, and a daily blogger at www.patrickcomerford.com. Lunch 1.00pm Lavelle’s Bar Dooega.